Welcome to # CranberryWeek! I am teaming with some of my amazing blogger friends to bring you the best cranberry recipes for the Holidays! It is going to be a great week filled with wonderful recipes! 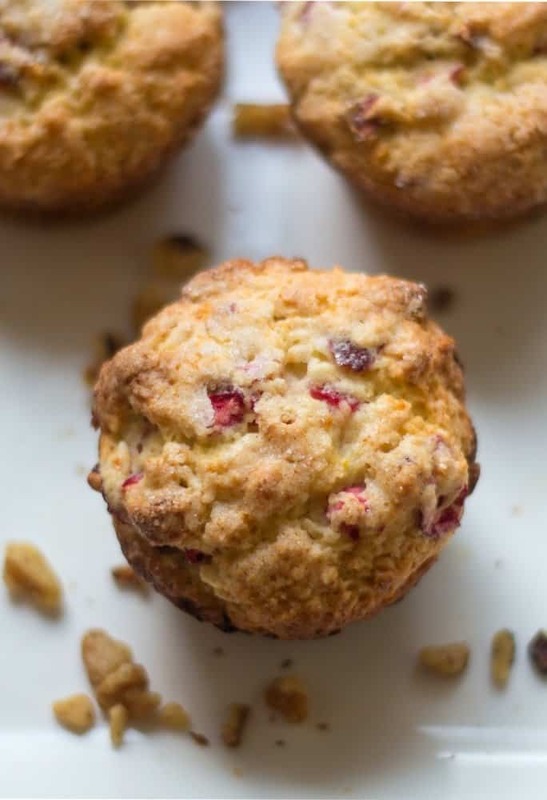 I am starting the week with one of my favorites, Easy Cranberry Orange Muffins! My family loves these muffins. They are moist and full of orange and cranberry flavors! Easy to make and they also freeze well! 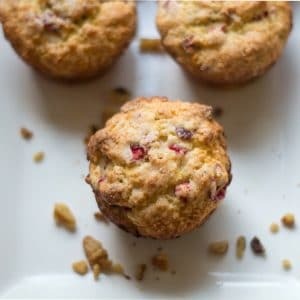 When my food blogger friends suggested a Cranberry week, these Easy Cranberry Orange Muffins popped right into my mind! Besides being easy to make, they are so delish! Seriously a great flavored muffin! 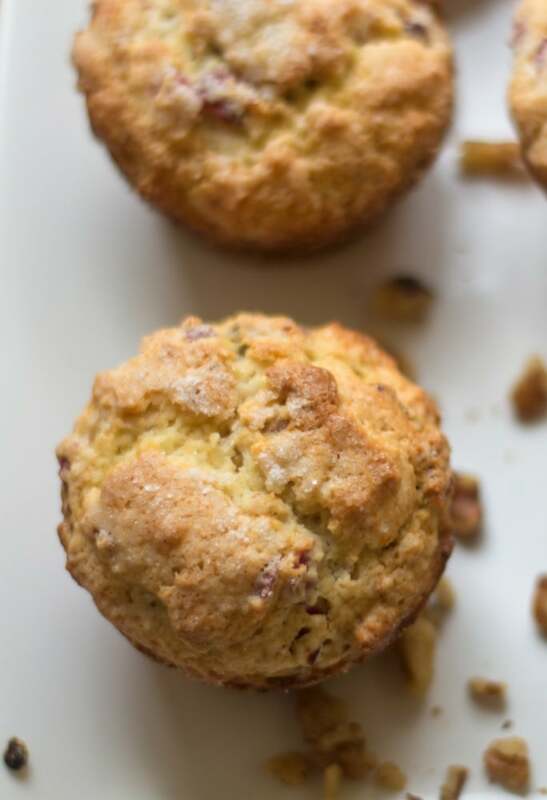 Fresh cranberries, oranges and walnuts make delicious muffins that are always a hit with my family and friends! 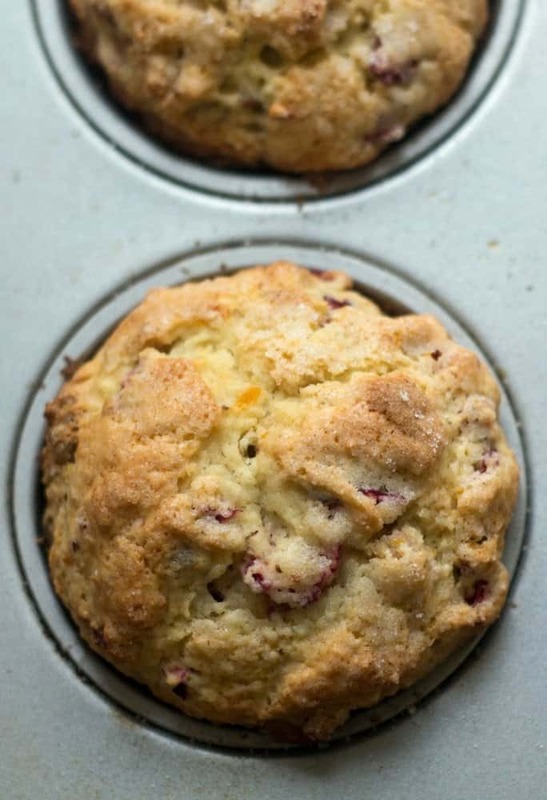 Easy Cranberry Orange Muffins are also perfect for Thanksgiving morning! These are awesome to bring as a hostess gift too! Make a double batch and freeze some for another day. These package and ship well! Wrap each muffin in plastic wrap tightly and ship to far away friends and family. Muffins freeze well, wrap in plastic wrap and place in freezer bags. Freeze for 3 months. I have used Bob’s Gluten-free Flour in lieu of the white flour and the muffins were awesome. See all the other cranberry creations being shared as we kick off Cranberry week today – follow #cranberryweek to see all the delicious recipes. If you use the #CranberyWeek on any Social Media, you can see all photos of these recipes! I can’t wait to make them all! I don’t know where to start, they all look fabulous! 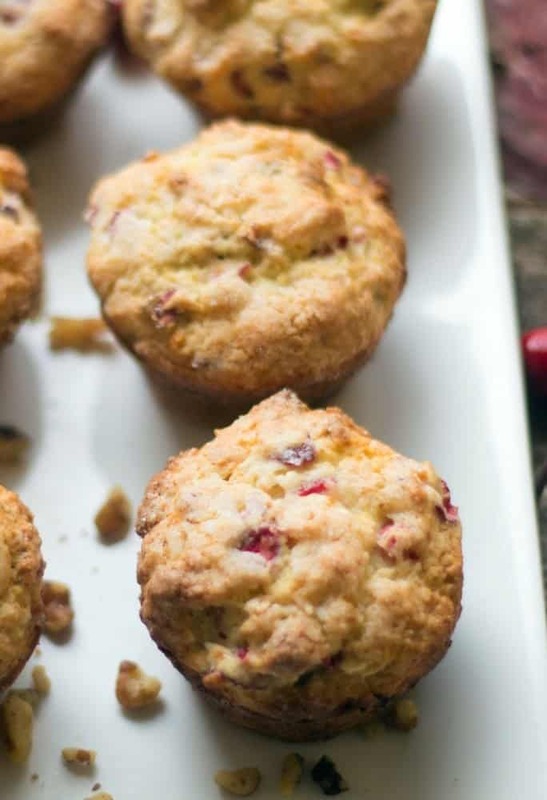 Fresh cranberries and oranges combined to make delicious muffins. A perfect addition to any Brunch. Great for Holidays too! Make a double batch and freeze some because these are so tasty! Pre-heat oven to 375 degrees. Spray muffin tin with non-stick cooking spray and set aside. Zest the oranges and finely chop the zest, set aside. Juice the oranges and set aside the juice. Use a food processor to coarsely chop the cranberries and walnuts. Feel free to use a knife to chop the cranberries and walnuts. Set mixture aside. In a large bowl, whisk flour, baking powder, and the 1/2 cup of sugar. Set aside. In a medium bowl, whisk together the orange juice, melted butter and egg to blend ingredients together. Slowly whisk together the orange juice mixture into the flour mix. Stir to just combine ingredients. Add in the cranberries, nuts and orange zest to gently combine ingredients. Divide the batter evenly into the 12 muffin tins. Sprinkle the Tablespoon of sugar evenly on the muffins. Make one of my recipes and put the photo on Instagram! Give it a hashtag #everydayeileen! I love seeing your creations! I hope you add this recipe to your favorite PINTEREST BOARDS! I’d love for you to follow me on PINTEREST! I’m always pinning from talented and amazing bloggers! I hope you enjoy making these Easy Cranberry Orange Muffins! I’d love to hear from you in the comments! These were really tasty. I had a lot of frozen cranberries from the Holidays and these were an easy recipe to make with the cranberries.